Тhe 9th century was one of the most difficult periods in Georgian history. The Arab Muslims wreaked havoc throughout the region of Kartli, forcibly converting many to Islam with fire and the sword. Many of the destitute and frightened were tempted to betray the Faith of their fathers. While on a pilgrimage to the holy places of Jerusalem, Constantine distributed generous gifts to the churches, visited the wilderness of the Jordan, received blessings from the holy fathers, and returned to his motherland filled with inner joy. After that time Constantine would send thirty thousand pieces of silver to Jerusalem each year. In the years 853 to 854, when the ArabMuslims invaded Georgia under the command of Buga-Turk, the eighty-five-year-old Prince Constantine commanded the army of Kartli with his son Tarkhuj. Outside the city of Gori an uneven battle took place between the Arabs and the Georgians. Despite their fierce resistance, the Georgians suffered defeat, and Constantine and Tarkhuj were taken captive. The captive Constantine-Kakhi was sent to Samarra (a city in central Iraq) to the caliph Ja’far al Mutawakkil (847–861). Ja’far was well aware of the enormous respect Constantine-Kakhi received from the Georgians and all the Christian people who knew him.Having received him with honor, he proposed that Constantine renounce the Christian Faith and threatened him with death in the case of his refusal. 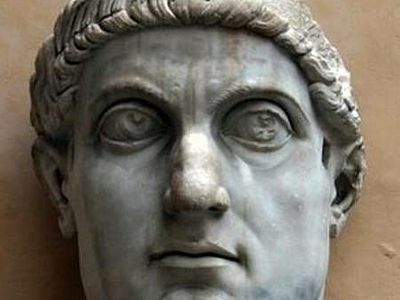 The enraged caliph ordered the beheading of St. Constantine- Kakhi. Bowing on his knees, the holy martyr lifted up a final prayer to the Lord. 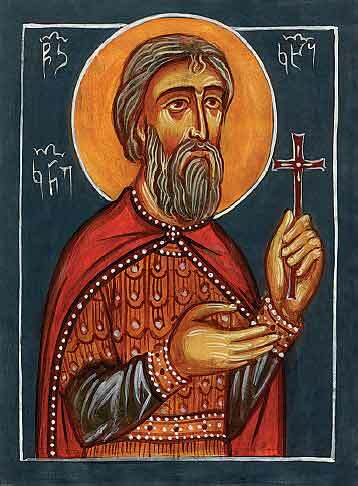 St. Constantine-Kakhi was martyred on November 10, 852, the day on which Great-martyr George is commemorated. The holy martyr’s body was hung from a high pillar to intimidate the Christian believers, but after some time it was buried. 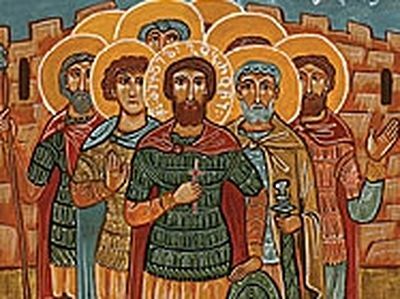 A few years later a group of faithful Georgians translated St. Constantine’s holy relics to his motherland and reburied them there with great honor. 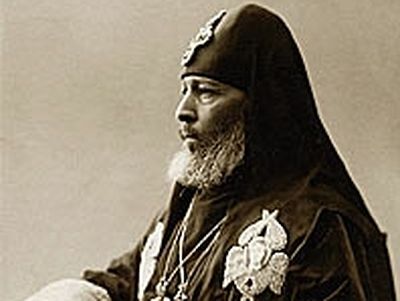 In that same century the Georgian Orthodox Church numbered Prince Constantine-Kakhi of Kartli among the saints. 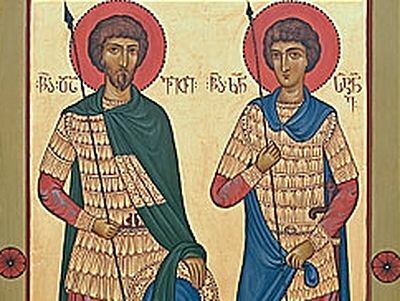 To the champion leader Constantine, the valiant warrior and chosen of Christ, who didst defeat the power and kingdom of darkness and submit to earthly torture, we offer hymns of praise for thy victory on earth: Rejoice, O Holy Martyr, invincible one! Among the multitude of saints we remember those Christianswho dedicated their earthly lives to glorifying Godand serving others. 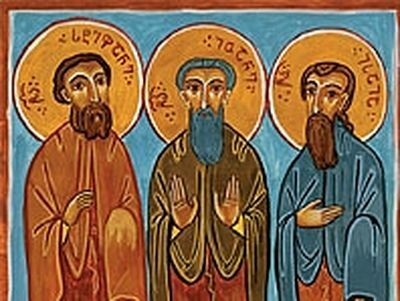 In a single lifetime they performed allthe spiritual feats of the venerable and devout fathers, confessors,and martyrs. In the year 914 a certain prince by the name of Mikael- Gobron distinguished himself in a battle against the Arab Muslim invaders. After they had captured the fortress of Kvelistsikhe in southern Georgia, theMuslims took captive those who remained alive, and Prince Gobron was among them. Deeply impressed by the Georgian soldier’s valor, the emir Abu al-Qasim ordered his army to treat him with respect. Holy Hieromartyr Kirion II (known in the world as Giorgi Sadzaglishvili) was born in 1855 in the village of Nikozi in the Gori district. His father was a priest. He enrolled at the parochial school in Ananuri, then at the theological school in Gori, and finally at Tbilisi Seminary.